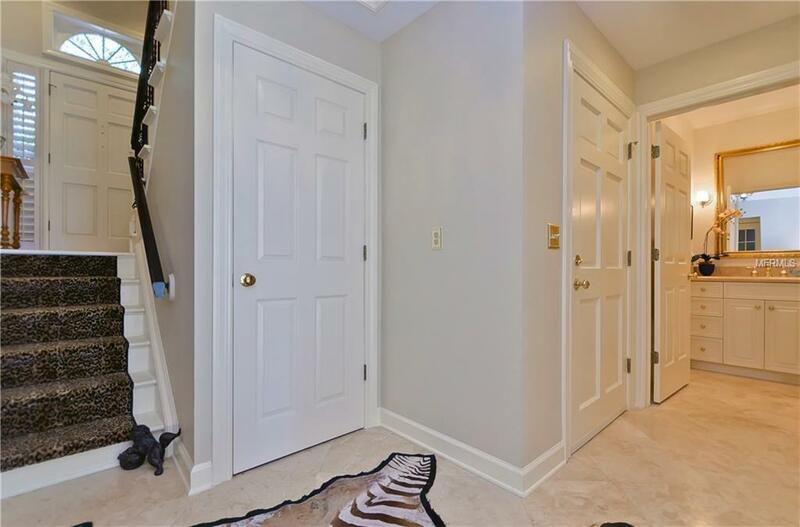 Elegantly appointed Luxurious Open Bay Georgian Townhome on Bayshore Blvd with UNOBSTRUCTIVE VIEWS. 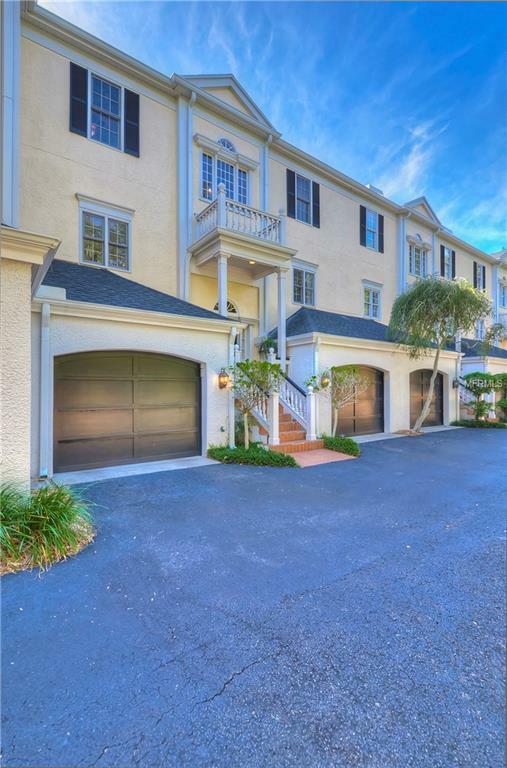 One of 12 units situated on Old Tampa Bay in a unique 1.3 Ac Estate size property lined by Century Old moss draped Oaks. 180 degree views of Tampa Bay from every level. Spill out to your own private gated courtyard overlooking Tampa Bay while also enjoying the expansive courtyard, pool and dock. 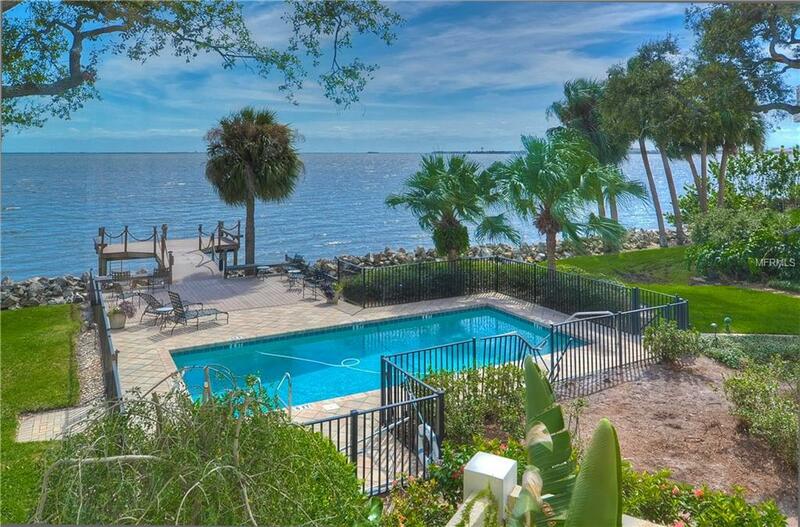 Nestled on Old Tampa Bay in Ballast Point this very serene and peaceful property is just minutes from Downtown Tampa, Westshore CDB and Tampa International Airport. This 3323 sq. 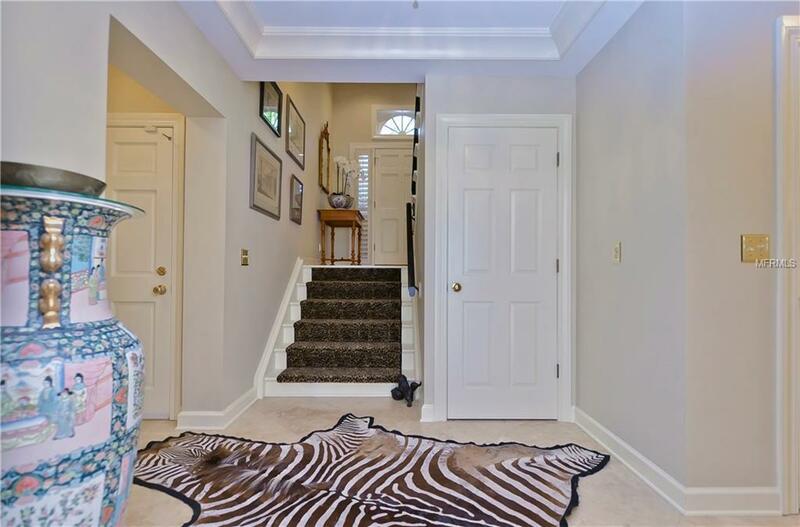 ft. mol Townhome features 3 Bedrooms, 4 Bath, Den, Formal and Informal living and dining, Eat-in Jennair Cooks Kitchen with granite counter tops, instant hot and center island. First floor includes a large office and Family room, two single car garages with built in his and her shops. Level 1 features gorgeous maintenance free honed Travertine. Solid oak on level 2. This unique unit offers 100 sf chilled wine cellar racked for 725 bottles plus. The elegant baths are Travertine with frameless shower doors, Architectural toilets, and maintenance free Baldwin/Phylrich hardware. Upgrades include dual Rinnai Tankless Water Heaters and Trane Variable speed HVAC with built Electrostatic air filters. Whole house water filter and ELECTRIC CAR CHARGING PLUG Additional features include, 9 and 10ft ceiling with crown molding, recessed lighting, 5 ceiling fans, Plantation Shutters, and Elevator Ready! Additional Lease Restrictions Please See Condo Docs For Specific Requirements. Listing provided courtesy of Atlantic Coast Realty Advisor.